Hello and Happy Holidays! 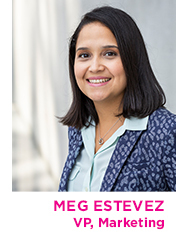 For those of you who don’t know me yet, I joined Emerald Expositions last August as the VP of Marketing and I am delighted to lead the marketing team for the National Stationery Show®, NY NOW®, American Handcrafted™ and SURTEX®. Not only is this a very exciting time for me personally, but it’s an exciting time for the National Stationery Show. We are all extremely focused on creating the absolute best show experience for both NSS exhibitors and attendees. 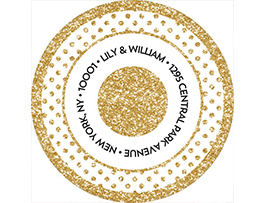 This February we are expanding on both the buying and selling opportunities with the co-location of NY NOW. 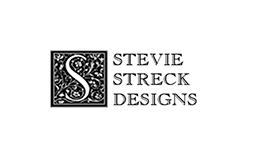 We have hundreds of returning exhibitors and more than 100 "Emerging Designers" that have been in business for two years or less and are new to the Show. Our ongoing commitment to retain all that is special about the NSS community and its unique identity is of the utmost importance to us. We are looking forward to celebrating your success, hearing your ideas, and sharing your market experiences with us. In this issue of Paper Clips, we asked several NSS exhibitors to share their company's New Year's resolutions (see below). Our 2019 resolution for the Show is to make this your best one ever! I look forward to meeting you all in person soon. Until then, I wish you a wonderful holiday season and a Happy New Year. 1. People often ask how I selected the name of my business, primarily because they don't realize that my maiden name is Fingers! And, because of the name, we often get phone requests about tattooing and fingerprinting services. So, the business name came naturally. LOL! 2. We love weddings ... LOVE LOVE LOVE them. But, my favorite invitations to design are first birthdays and milestone adult birthdays. Every experience is completely different, and the excitement surrounding the event is infectious. There is so much fun in creating these! 3. As a designer, it's important to be relevant with regard to colors, because it is such an integraI part when designing. I have taken floral classes to better understand color and depth and to learn firsthand from florists, who have such an amazing eye for colors and for the arrangement of color. 4. We enjoy giving back to the community. We participate in at least two community-based activities a year: breast cancer walks (Team FINGERS IN PINK); and art in schools, where we donate overstock paper and materials to local elementary schools. 5. We truly believe in the #textlesswritemore campaign! Letter writing is truly an art that we can't let die. 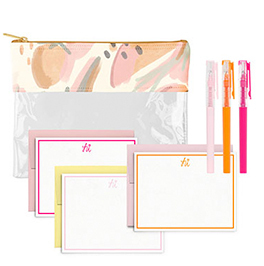 I am so passionate about it - and that's why my gift of choice to family, friends and clients is personal stationery. This holiday season, I decided that FINGERS IN INK would take on the joy of assisting Santa. We are asking children to write letters to Santa, and Santa's Helper (FINGERS IN INK) will respond to each letter personally. This is being done with the hope of bringing joyful and whimsical delight to the holiday season for children and to encourage them to participate in the snail-mail process. What New Year's resolution do you have for your company? 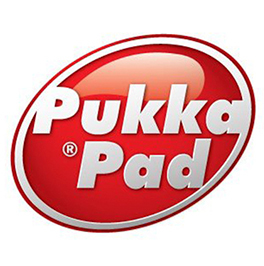 "Pukka Pads North America is planning on following in the footsteps of Pukka Pads UK, which has been trading for 20 years and is a key supplier to the stationery industry in many countries. Our 2019 resolution is to offer the North American market the same choices that prove so immensely popular in many European/Asian countries with so many people, and to place that product in retailers looking for a proven winner." -Martin Uniacke, Executive Director, Pukka Pads of North America, a Philadelphia, PA-based company delivering high-quality, value-based stationery products. Pukka Pads of North America. "My New Year’s resolution is to devote more time to expanding my greeting card line and developing more product. I also plan on continuing to create oil paintings, keeping in touch with what started this process 21 years ago." 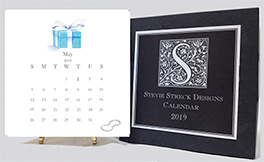 -Stevie Streck, Owner, Stevie Streck Designs, an invitation, greeting card and gift company with a focus on calendars and original designs, based in Kennesaw, GA.
Hand-glittered 2019 desk calendar with easel from Stevie Streck Designs. "As a brand new company, our top priority for the upcoming year is to develop better systems around all that we do. One of our biggest challenges is inspiring new team members to have a sense of ownership in every task. Consistency in our approach to the marketplace is key. That consistency should inform everything that we do in our growing business. From planning a trade show booth to packing orders, there is a right way and a wrong way. Our New Year's resolution is to make sure our standards are consistent. This MUST be more than a casual statement made on January 1st." 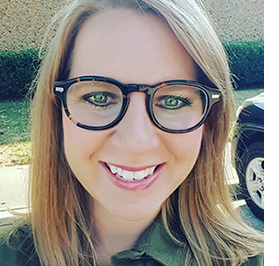 -Melissa McCauley, Founder, Talking Out of Turn, a Dallas, TX-based stationery and gift company obsessed with confetti, roller skates and the color pink. 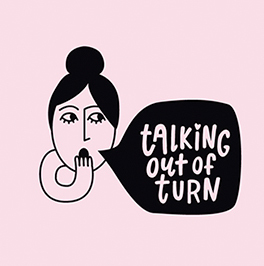 from Talking Out of Turn. All that glitters really does to turn to gold when it comes to stationery and giftware! The sparkly stuff can be found just about everywhere these days - adding a sophisticated element to some products, while providing a fun touch to others. Bring a little sparkle and shine to your merchandise mix with glittery items such as these from NSS exhibitors. 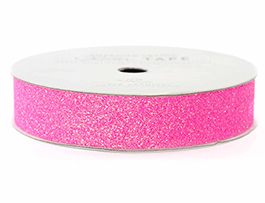 Glitter 5/8" tape from American Crafts. 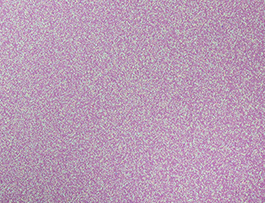 Glitter 12"x12" cardstock from Announcement Converters. 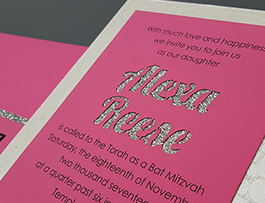 Laser-cut, glittered custom invitation from Lovely Knot. "Modern Glitter" return address sticker from PrintsWell. Aaron Hazard, a 10-year veteran sales executive for the National Stationery Show, has been named as Sales Director for the newly repositioned event. 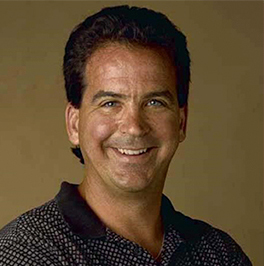 Responsible for garnering new exhibitors for the NSS for many years, Hazard now leads a team of talented sales staff, coordinates with a dedicated marketing team and works closely with Emerald Expositions Executive V.P. Kevin O'Keefe in developing strategy to continually improve the NSS event. 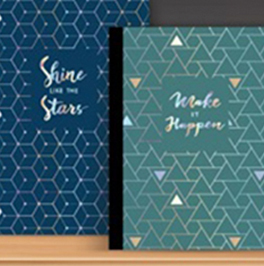 "Aaron has done an outstanding job of curating the NSS 2019 so that the show presents the best in the market right now, and is adept at identifying what's next in innovative and distinctive stationery. His 'Emerging Designers' initiative of new-to-market rising talent already includes more than 50 fresh stars,” states O'Keefe. "To compete, retailers today need to create experience and discovery for buyers in the store - and the NSS is focused on helping them do that. Buyers will love what they find at NSS 2019." NSS exhibitors have the opportunity to have their products featured in a grand on-site display showcasing the Best New Products in the Show. This year's product categories are: All Things Wedding; Cause-Related; All Things Paper; Life/Style; Craft It Up/DIY; and Let's Celebrate. 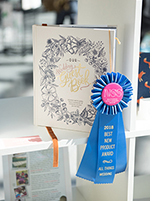 Category winners as well as a winner for Best of Show will be announced at the NSS. Exhibitors may choose up to two product categories free of charge; each additional category is $15 each. The deadline to enter is Friday, Jan. 4. For full details and to enter, click here. Pantone has announced that is Color of the Year for 2019 is Living Coral: PANTONE 16-1546, which it describes as a vibrant, mellow color that "embraces us with warmth and nourishment to provide comfort and buoyancy in our continually shifting environment." 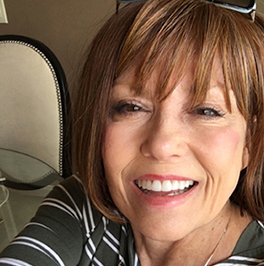 States Leatrice Eiseman, Executive Director of the Pantone Color Institute, and one of the 2019 NSS's seminar speakers: "Color is an equalizing lens through which we experience our natural and digital realities, and this is particularly true for Living Coral. 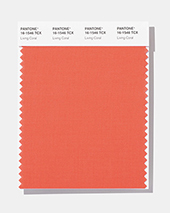 With consumers craving human interaction and social connection, the humanizing and heartening qualities displayed by the convivial PANTONE Living Coral is a responsive chord."